Private party bookings are available Sunday thru Thursday evenings for $250 for 2-1/2 hours for up to 50 skaters with $8 for each additional skater. Skate rental is included with rink rental and you may bring your own food and drinks or concessions can be staffed. Ideal activity for your next group or team function, family or class reunion! Call Jennifer at (731) 363-1015 to book your session now. Celebrate your child's birthday without the hassle of planning, hosting, and cleaning up! 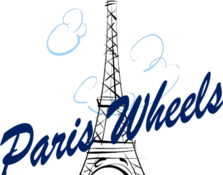 Party packages at Paris Wheels Skating Center are designed to be hassle free ensuring that you will enjoy the party as much as the kids. Make it GLOW - upgrade the Basic or the Pizza Party to a blacklight reactive party for only $10.00! Includes fiber optic centerpieces, glow necklaces for each skater & blacklight reactive plates & cups! Sit back and let us handle everything with one of these Premium Package options!